If there’s a quintessential Canadian suburb, it would be Mississauga. Yet, with over 700,000 residents, it’s not only Canada’s sixth largest city, it’s the largest suburb in English-speaking North America. 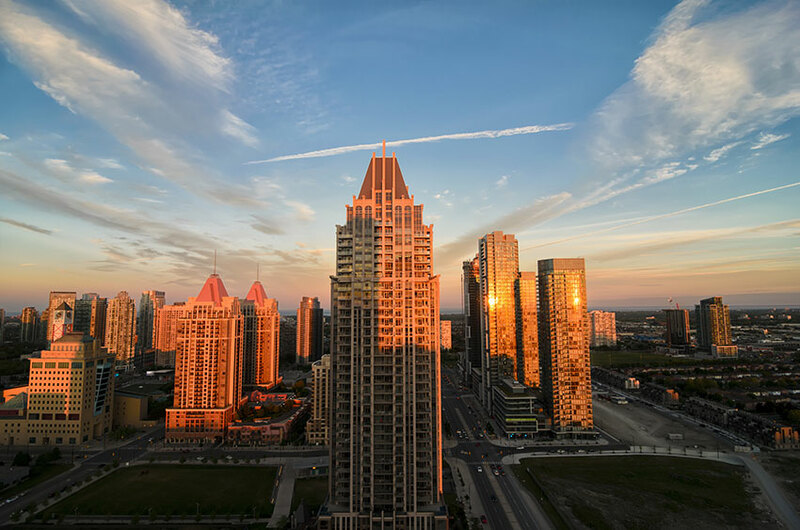 As both a suburb as well as a community in its own right, Mississauga benefits from both its proximity to Toronto and its location in the Golden Horseshoe. Location is everything. The area west of Toronto was once ideally suited for agriculture supporting the larger city. That’s where the communities of Mississauga started. Many of those names live on as a quirk of Bell Canada’s billing system. Calls placed to Mississauga areas that were formerly towns still appear by those names on long distance bills. Streetsville, Port Credit, Malton and Cooksville exist, if only in the telephone billing world. Transportation to and from the big city also aided the growth of the western communities. As Ontario grew to the point that intercity vehicle traffic required throughways, the Queen Elizabeth Way and Highway 401 brought cars into the future Mississauga, defining the nature of its citizens as well as contributing to growth. In 1968, Mississauga established as a town through an unpopular provincial decree. It was just six years later that incorporation into a city and geographical expansion took place. As the vicinity urbanized, the proximity of Toronto again spurred and supported the city’s growth. Vehicles still drive much of the population. While easy commuter transit provides an alternative into Toronto, 400-series highways continue to develop. The 403, 410 and 407ETR bolster the QEW and 401 routes. Highway 427 forms a section of Mississauga’s northeast border and a short run of Highway 409 runs through the city near Pearson Airport, which sits entirely within city limits. The table below shows Mississauga car insurance estimates for a sample driver. We surveyed the car insurance prices in the city of Mississauga for the purpose of illustrating the range in quotes based on driving record, location, and other criteria. To get a customized quote, enter your postal code above. With so many people and so many cars, congestion and other typical big city motoring challenges present themselves in Mississauga. While not as extreme as Toronto’s northern suburbs, Mississauga sees higher car insurance prices than most of Ontario. A male driver living in Downtown Mississauga can expect the best rate of $1,685 per year for auto insurance. This rate assumes a 35-year-old motorist with a clean driving record, operating an eight-year-old four-door sedan. Mississauga drivers looking to save money on car insurance have the same alternatives as all Ontario drivers. The provincial government requires a mandatory insurance policy on each vehicle using its roads. While the provincially mandated policy is the minimum amount of insurance, as well as the cheapest, it may not provide enough protection for all drivers. In fact, most drivers in the province purchase coverage beyond the required minimum. 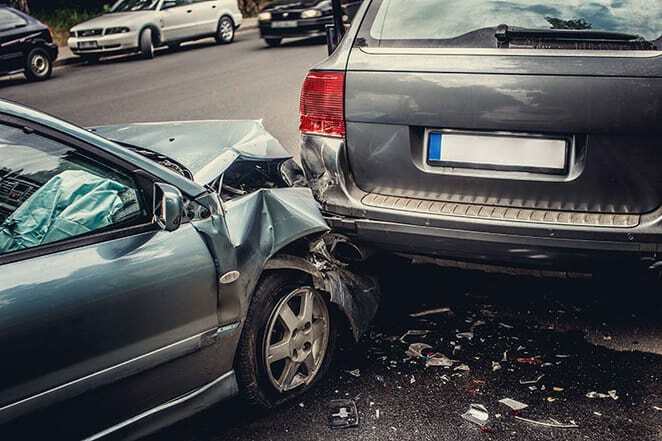 Third party liability coverage protects a driver after an at-fault accident since accident victims retain the right to sue for damages in Ontario. While the basic provincial plan requires $200,000 in liability coverage, a serious accident could generate settlements in excess of this amount. The at-fault driver remains responsible for paying awards in excess of insurance protection. It’s common for motorists to upgrade coverage to $500,000 or $1 million amounts. Statutory accident benefits pay medical treatment and rehabilitation costs beyond those covered by the provincial health plan. In June 2016, these benefits reduced as part of the government’s efforts to ease the car insurance cost burden in Ontario. While coverage combined and consolidated in a way that reduces the payouts insurance companies face while minimizing the impact on most people injured in car accidents, the policy-holder may still face a payment shortage. In some circumstances, the amount insurers will pay is cut in half. Upgrading accident benefits coverage as well as, liability insurance becomes a priority motorists need to consider. While collision and comprehensive insurance aren’t part of the mandatory policy, many drivers choose these to financially aid repairs and loss after an insurable incident. The affordability of both types of coverage is adjusted through deductible amounts. Raise the deductible, the amount the car owner pays, and premiums reduce. Low deductibles transfer more risk to the insurance company, so prices are higher. Car insurance options drive up policy costs but may provide other cost savings. Discounts reduce premiums but offered discounts vary between companies and it’s usually up to the driver to request the discounts for which they qualify. Discounts usually aren’t automatic. Traffic that isn’t bound for Mississauga during rush hours is likely driving through the city, making for congestion nightmares on a daily basis. The QEW and 401 are east-west all through Mississauga, and subject to high volume congestion daily during rush hour peaks, as well as any time an accident or maintenance occurs. Highway 403 runs east-west most of the way through the city to Cawthra Road, where it turns north-south. It connects with the 401 at its northern terminus, continuing north as Highway 410 toward Brampton. Highway 409 connects the eastbound 401 with Pearson Airport and Highway 427, removing airport traffic from the east from the 401/427 intersection. Highway 427 represents the eastern terminus of the QEW. While most of the 427 is located inside Toronto’s city limits, its run north of the 401 lays within Mississauga. Highway 407ETR runs north-south while in Mississauga. The northwest corner of the city extends to the 407ETR’s intersection with the 401, after which the 407ETR resumes an east-west direction through Milton and Brampton. While Mississauga maintains a rectangular grid for its major city roads, these are based on the Lake Ontario waterfront extending from Burlington in the west to Etobicoke in the east, and the grid is tilted about 45 degrees away from true north. Therefore, north-south routes in Mississauga run northwest to southeast and east-west routes are southwest to northeast. The Ministry of Transportation for Ontario maintains traveller information and an interactive map for the Mississauga and Burlington area on its website. The City of Mississauga offers a mobile device app to track commuter traffic, road maintenance and snow removal equipment. The Weather Network offers forecasts for Mississauga and surrounding areas. AM 680 News offers broadcast traffic reports every 10 minutes “on the ones:” :01, :11, :21 etc. As well, the station offers an online summary of traffic and driving conditions on its website. The closest DriveTest centre serving Mississauga is 2370 Wyecroft Road in Oakville. Highway 401 reaches 18 lanes of width near Pearson Airport, making it one of the widest as well as busiest highways in the world. Highway 427 is Canada’s second-busiest highway and third busiest in North America, behind the 401 and California’s Interstate 405. Plans are on the table to extend the 427 north to Major Mackenzie Drive. Highway 403 was first identified in 1963 when it ran only between Highway 6 at the bottom of the Niagara Escarpment and the QEW as it turned east-west north of Burlington Bay. It wasn’t completed to its full length until 1997. The traditional suburb model of Mississauga residents commuting to Toronto fades as the 2011 Canadian census reported 55 percent of Mississauga commuters now work within Mississauga itself. Looking for a break on high car insurance prices in Mississauga? You can assure you’re finding the lowest rates by using Ratelab’s car insurance calculator. By entering your car insurance needs, you access dozens of Ratelab’s auto industry partners, matching car insurance requirements with the lowest prices. Enter your home postal code below to start on the path to auto insurance savings.